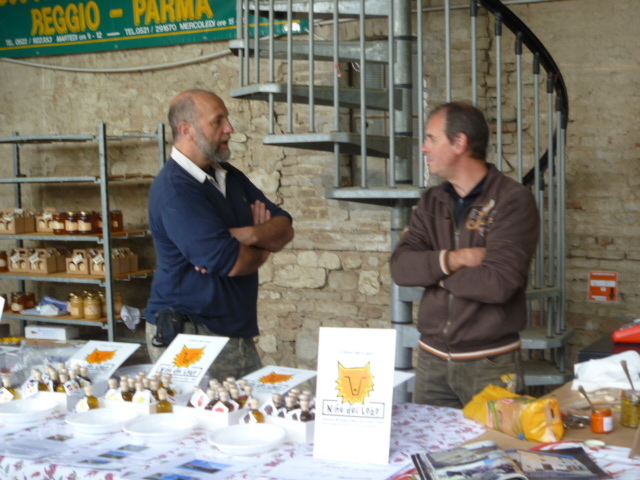 On Sunday, May 9, Marco and I worked the chile plant sale and food fair at the Azienda Agraria Sperimentale Stuard (Stuard Agricultural Experiment Station) in Parma with his new products, Spirit of Habanero Grappa and the Habanero Nectar olive oil. 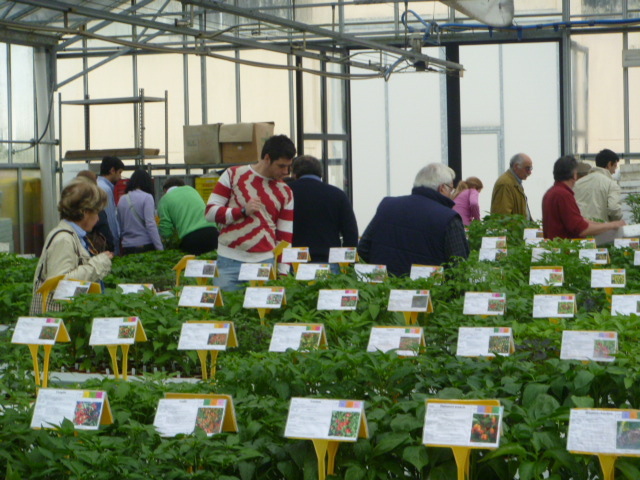 Mario Dadomo, the station director and the “Paul Bosland of Italy” had 442 different varieties of chiles to choose from, which was like having ChilePlants.com in one convenient greenhouse. Mario asked me if he could be my “bishop”–har, har. 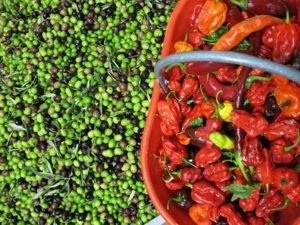 The public was there in good numbers to buy the plants and sample products both spicy and non-spicy. A group of about 30 Italian chileheads showed up and I had my picture taken with them. 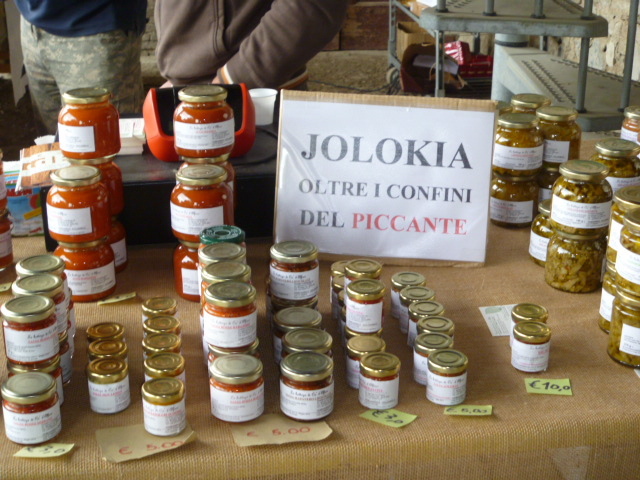 On one side of us was a honey producer and on the other side our friend Mauritzio was selling his jolokia products including the “Big Bang Powder,” so Marco joked that the public could choose from Paradiso (Heaven), Purgatorio (Purgatory), or Inferno (Hell). 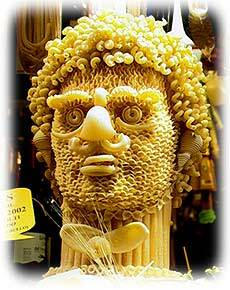 This was an allusion to Dante’s Divine Comedy but I’m not sure that the Italians got the literary joke. As a show producer, it was interesting for me to watch the flow of the crowd: in the morning there was a strong crowd then in dropped off to nothing during lunch and “siesta time,” and then was strong again after about 3pm. Marco’s sales were good, which bodes well for the new products. We closed down about 6pm, then drove to a winery with nearly vertical vineyards atop Monte Roma (Mount Rome), 350 meters above sea level. Then, in typical Italian fashion, another 30-mile drive to dinner at an AgriTurismo (agricultural tourism) restaurant atop another “mountain.” I loved the grilled sirloin steak served on top of a solid block of salt. We got back to Marco’s house at midnight—16 hours of hustle–but fun!